John Martin is a high performing C-level executive with discipline, vision, and strong instincts, specializing in strategic planning and business advisory services for a diverse range of national and international organizations. He has a proven track record of building and leading teams of advisory professionals to drive business objectives, managing key relationships with investors and client partners, and identifying opportunities to accelerate growth for organizations operating at the highest levels of business. With experience spanning the Fortune 100, mid-market companies, and U.S. Government agencies, he brings a “hands on” leadership style and a reputation for exceeding expectations, regardless of the internal or market challenge. Martin is a co-founder and managing director of Washington-based Whitney Partners. While at this leading boutique consulting firm in the Mid-Atlantic, Martin leads the accomplished professional services firm providing strategic planning, business advisory, and transaction management. He manages the firm’s investment banking and corporate advisory vertical encompassing all aspects of the investment and advisory process including identifying funding sources and M&A targets, creation and execution of strategic plans, and day-to-day operations. While at Whitney, Martin was the outsourced Chief Operating Officer at The Washington Times when that company was transformed from a single-medium publisher to a dynamic, multi-media information outlet. In his role as COO, he was directly responsible for shaping and implementing the future of the company’s information technology, digital development, facilities management, printing and broadcast distribution functions. A strategic thinker, Martin has contributed to a host of successful business endeavors by combining innovative thinking with smart, effective project implementation. Prior to Whitney, Martin lead strategic planning and portfolio strategies as Vice President with Jones Lang LaSalle, where he managed operational solutions for blue-chip companies, including IBM, Lockheed Martin, Raytheon, Comcast and France Telecom. While at Ernst & Young, Martin honed his technology practice by spearheading their corporate planning alignment solutions for technology, entertainment, REITS and communications clients. Interfacing with key partners WorldCom, AMICO, Teligent and Konover, Martin was instrumental in creating multi-platform technology and provider-based “blueprint” systems. Prior to Ernst & Young, Martin was Director of Strategic Planning at MCI. He was responsible for coordinating planning initiatives for business segment leaders, and was responsible for the company’s $20M SF portfolio and $260M annual operating budget. 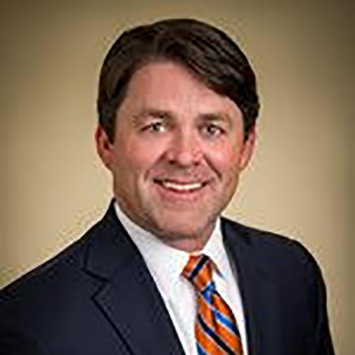 Martin holds a Masters of Business Administration from Johns Hopkins University and a Bachelors of Arts from Clemson University. He is a published author on business management and strategic planning. Along with his wife Kathy and their two daughters, Anna Kate and Sydney, he lives in Vienna, Virginia, a suburb of Washington, DC. Martin is an avid runner and a golfer.